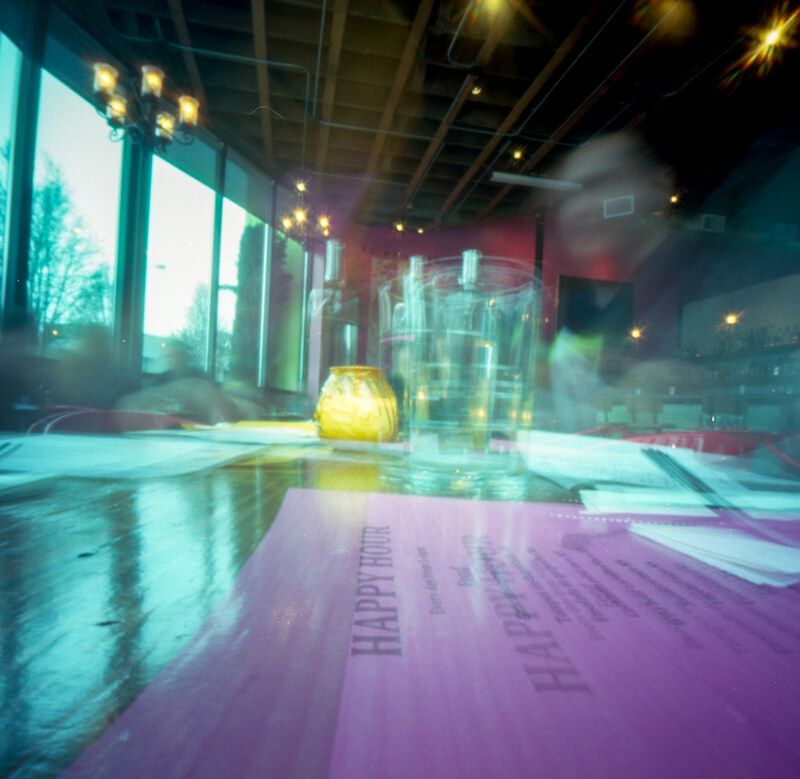 Here is a pinhole photo I took a couple of weeks ago at a restaurant in Portland. The blurry figure is my brother in law. We had a really great dinner. I ordered wild boar tacos. I will never do that again.